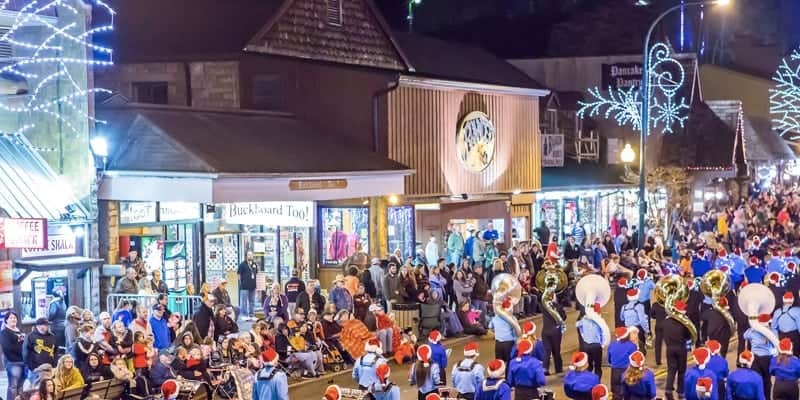 The city of Gatlinburg, Tennessee is a treasure trove of activities to do for locals and tourists alike. From hiking through its famous trails and Smoky Mountains, to eating at the many authentic local restaurants, there is something to do for everyone. When people think of what to do in Gatlinburg, a lot of those activities center around being outdoors. Fortunately, that doesn’t mean that you are stuck inside on rainy days. To the contrary, there are tons of fun indoor activities to do in the Gatlinburg area when the skies open. No visit to the Gatlinburg area would be complete without learning about the local wildlife, plants, and hiking trails. You can do this and more at the Sugarlands Visitor Center, which is chock full of educational resources about the history of the area’s people and attractions. There’s also a gift shop in case you want a Gatlinburg-branded souvenir to take home with you as a reminder of your trip. Believe it or not, Seattle is not the only city with a space needle. This 407-foot tall structure has an observation deck that lets you see the entire city and all of the surrounding area. It looks especially awesome during a rainstorm, so you can enjoy a bit of nature without getting wet. Once you’ve seen the sights, take the kids over to the Higher Learning exhibits for fun and learning, then to Arcadia, a two-story playground right inside the Needle. Adults and children alike can enjoy the shows at the on-site Iris Theater as well. The Space Needle has so much packed into one place, it is one of the best places you can go when you need to figure out what to do in Gatlinburg on a rainy day. Ripley’s is known across the world for their wax museums and exhibits, but they also have an aquarium right in Gatlinburg. You’ll be able to see over 10,000 fish, including some very large sharks. In addition, you can see some of the action behind the scenes, a luxury that most aquariums simply don’t offer. There is also a dive show every hour, where a Ripley’s employee puts on a wetsuit and dives into one of the tanks to feed and interact with some of the fish. These features make the Ripley’s Aquarium of the Smokies a great rainy day destination for both learning and fun. Inside the 8-mile loop is a designated Tennessee Heritage Arts & Crafts Trail, which includes the largest community of independent artisans in all of North America. Whether you are into paintings, sculptures, hand crafts, scrapbooking or pottery, you can find these and so much more in this huge arts and crafts community. There is even an on-site cafe, tea room, restaurants and candy stores in case you get hungry for a snack or full meal. Watch as the artisans make their wares, then buy some for yourself as a souvenir, or get your Christmas shopping out of the way early with a handmade, one-of-a-kind gift. Not all amusement parks are created equal, or outdoors. Some, like Ober’s, are made indoors so you can enjoy the fun all year round and in any weather. The big attraction here is the ice skating rink, which rents skates in case you don’t have any of your own. There is also an arcade area for those who would rather keep their feet on terra firma, and an aerial tram that is completely enclosed and gives you breathtaking views of the Smokies. If you have the chance, go back during the winter, where the area becomes a ski resort. Right in the heart of downtown Gatlinburg is a place called Fannie Farkles, a place which is as amusing as its name sounds. The building is bright pink, so even in a heavy rainstorm, you simply will not be able to miss it. Inside, you’ll find a huge arcade that has vintage and new video games, as well as skee ball. When you get hungry, there are many food items to choose from, ranging from quick snacks to full-on meals. Fannie Farkle’s only accepts cash, but there may be discount coupons available on their website to help save you money, and there is an ATM inside in case you don’t have any cash on hand. Ripley’s does it again, going beyond their amazing Gatlinburg aquarium and creating a mirror maze that is fun for all ages. See what you would look like if you were taller or shorter, and laugh at all the funny faces you and other visitors can make in this fun hall of mirrors. Included is a light and sound show that will amaze, and you can even buy a combo ticket that lets you play a round of circus-themed mini golf. Auto enthusiasts or people who just like a touch of movie magic will love this car museum. It includes over 40 vehicles, all from either famous television or movie productions. Children of the 80s will appreciate the Ecto-1 from “Ghostbusters” or the motorcycle Arnold Schwarzenegger rode in “The Terminator.” Fans of classic TV will love the classic Drag-u-la car from “The Munsters,” and superhero fans can look in awe at one of the original Batmobiles. You can even get behind the wheel of a select few cars for pictures and memories that will last a lifetime.